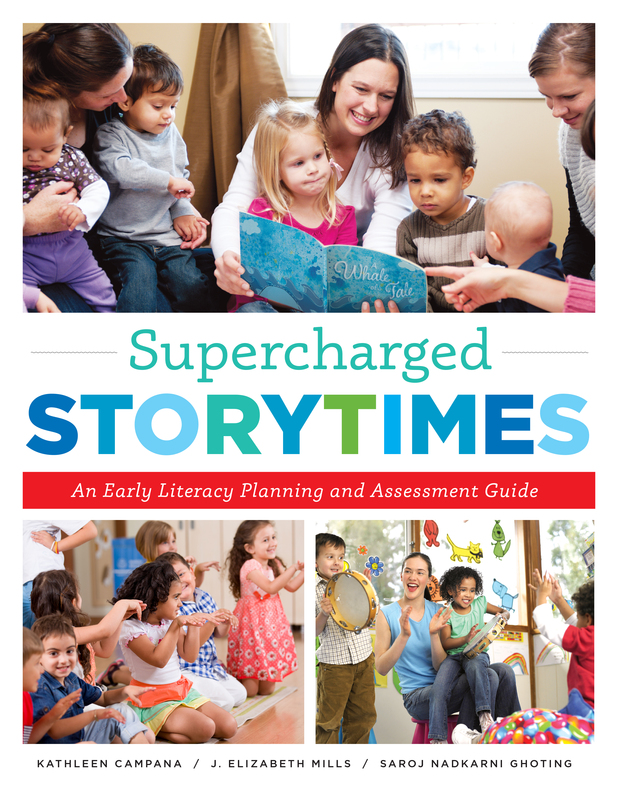 "Supercharged Storytimes: An Early Literacy Planning and Assessment Guide"
"Engaging Babies in the Library: Putting Theory into Practice"
providing administrators with research-based evidence that supports current and future advocacy for early literacy in public library programming for children. Campana is a doctoral candidate at the University of Washington Information School. Her research focuses on the learning that occurs for children and youth in library programs and the role that family engagement plays in that learning. She has served as a research assistant on the VIEWS2 research grant for all four years. Mills is a doctoral student and a MLIS graduate from the University of Washington Information School. She has a background in children’s literature as an editor and author. She studies how librarians are planning and presenting their storytimes in terms of learning theory and interactivity with respect to technology in storytimes. She has been a research assistant on the grant for three years. Ghoting is an Early Childhood Literacy Consultant and national trainer on early literacy. She presents early literacy training and information sessions at national, regional, and state conferences, and training for library staff and their partners. A consultant for the Every Child Ready to Read @ your library early literacy initiative, she has coauthored four other books on early literacy and storytimes. ALA Store purchases fund advocacy, awareness and accreditation programs for library professionals worldwide. ALA Editions publishes resources used worldwide by tens of thousands of library and information professionals to improve programs, build on best practices, develop leadership, and for personal professional development. ALA authors and developers are leaders in their fields, and their content is published in a growing range of print and electronic formats. Contact us at (800) 545-2433 ext. 5052 or editionsmarketing@ala.org.